If you need to change the game account password for any reason, here's how! 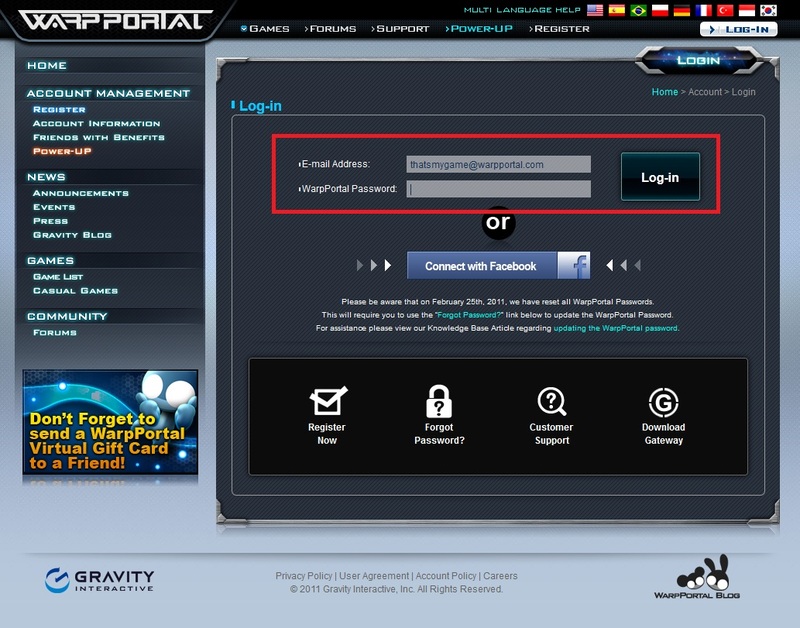 Step 1: Log into the WarpPortal Account that the game account is bound to. 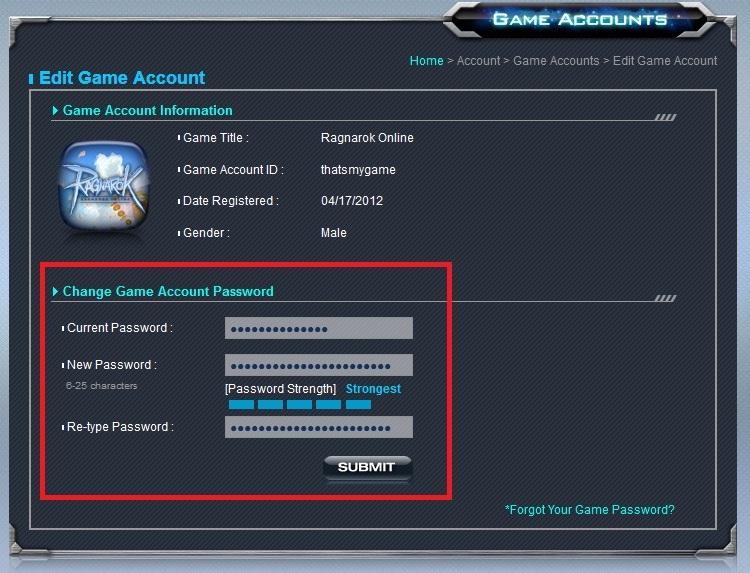 Step 2: Select the Game Account that you will change the password for. Click on the [EDIT] link next to the name. Step 3: Change the Game Account Password by entering the current password, the new one, and repeating the new one for confirmation. Keep in mind that you can use a combination of upper & lowercase letters, special characters, and numbers for the password. The page will inform you of generally how "strong" the new password is. Using a complete combination of characters, numbers, & special characters can result in the strongest forms of passwords. Forgot the Password? Try Recovery! 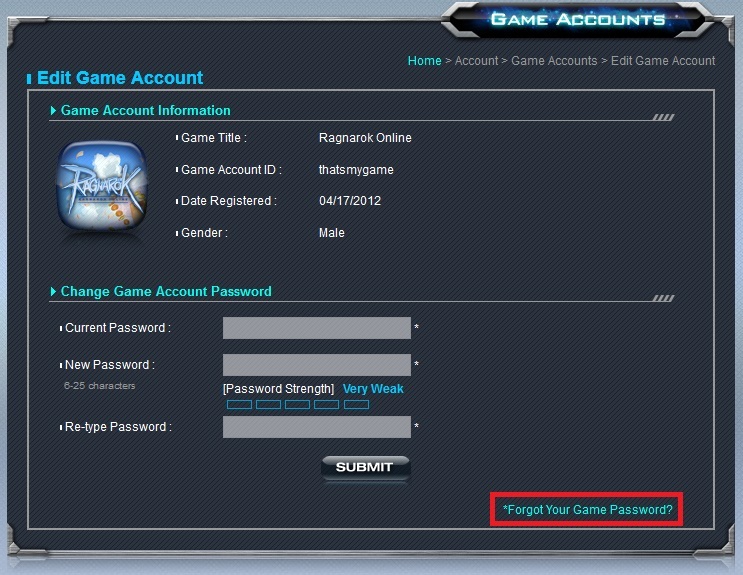 If the game account password cannot be recalled for any reason, you may recover the password. 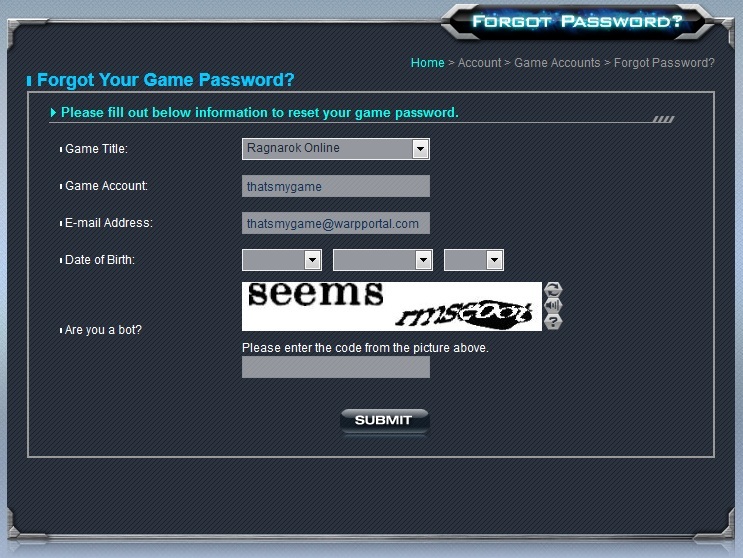 On the password change page, click on the "Forgot Your Game Password?" link in the bottom right corner. Fill in the required fields with the information that was originally used when registering for the WarpPortal. Using any other information will not work. Once this is complete and all other fields filled in, click the [SUBMIT] button. An email will be sent to the registered WarpPortal email address. Follow the remaining instructions in the email to complete the recovery process. If you do not see an email, please check your email provider and ensure that our messages are not being blocked. We have an article that can help you with this process. If there are any other issues or concerns about this, please contact Support and they will be glad to assist you.